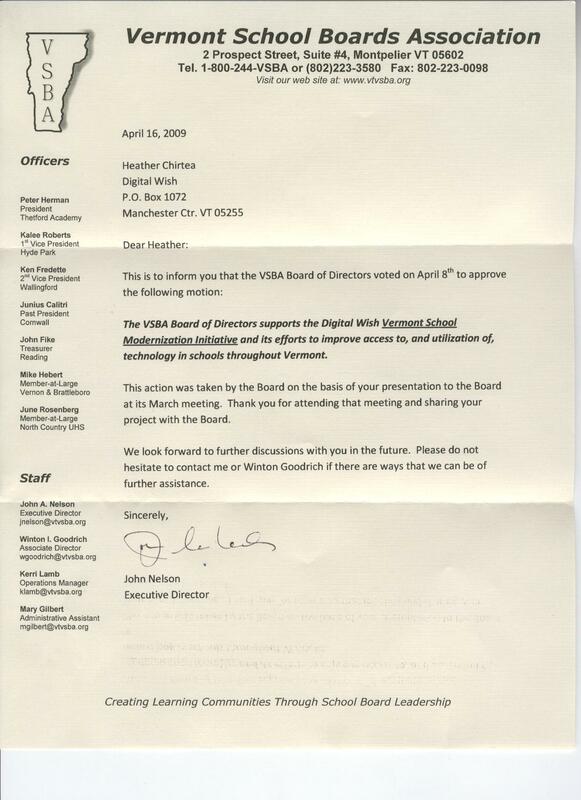 Before Digital Wish even looked at computers, we appealed to the board of directors for all the major local education associations for support. 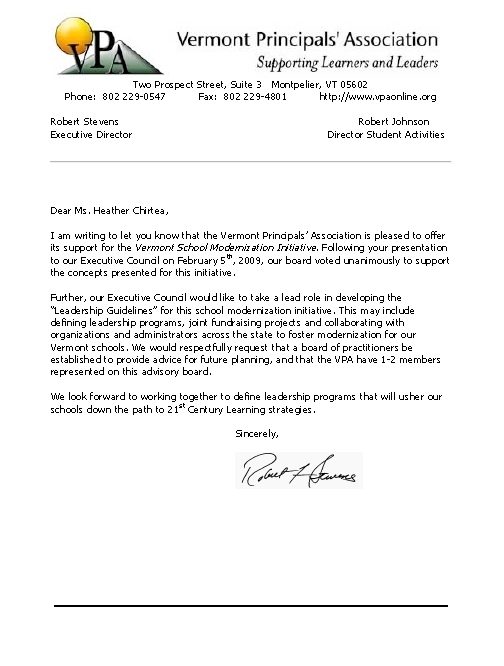 It took a lot of presentations to get them all on board to endorse our initiative, but once they contributed a letter of support, fundraising became so much easier. 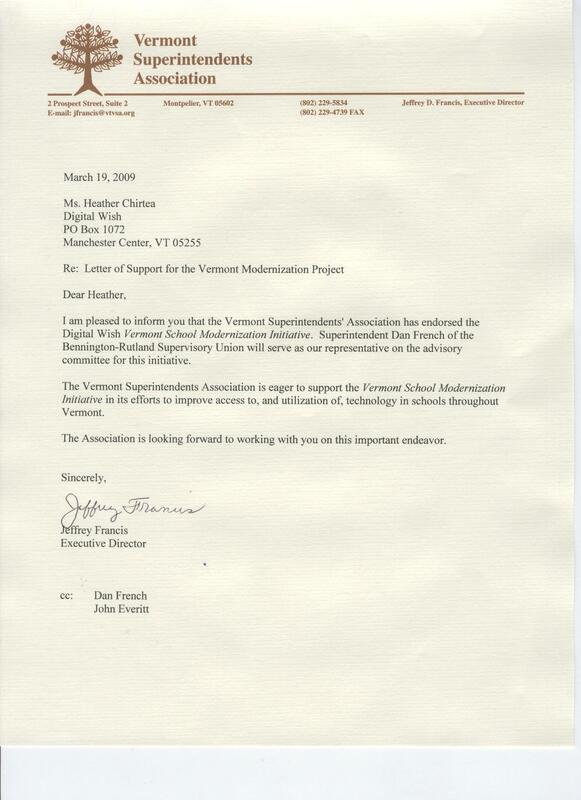 Consider who your stakeholders are, and get each one to write a letter of support. Don’t forget local businesses. 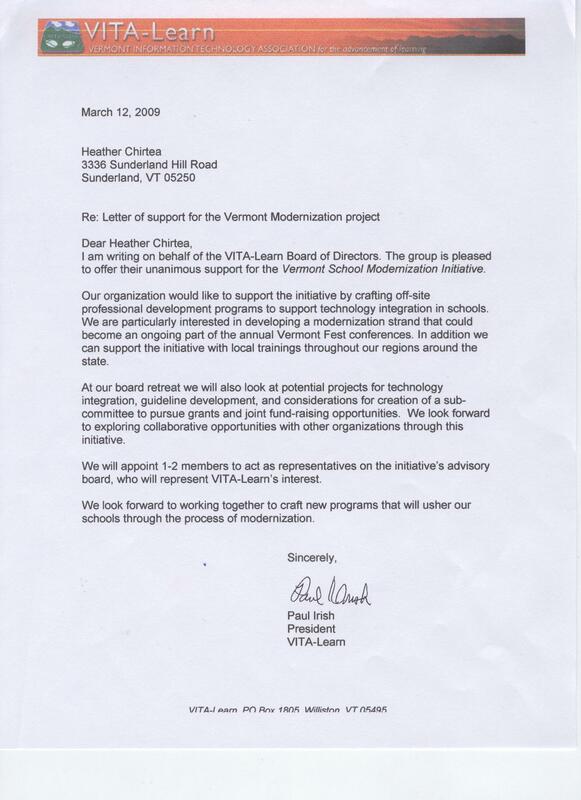 It doesn’t cost anything for them to write a letter, and their support will help you win grants. 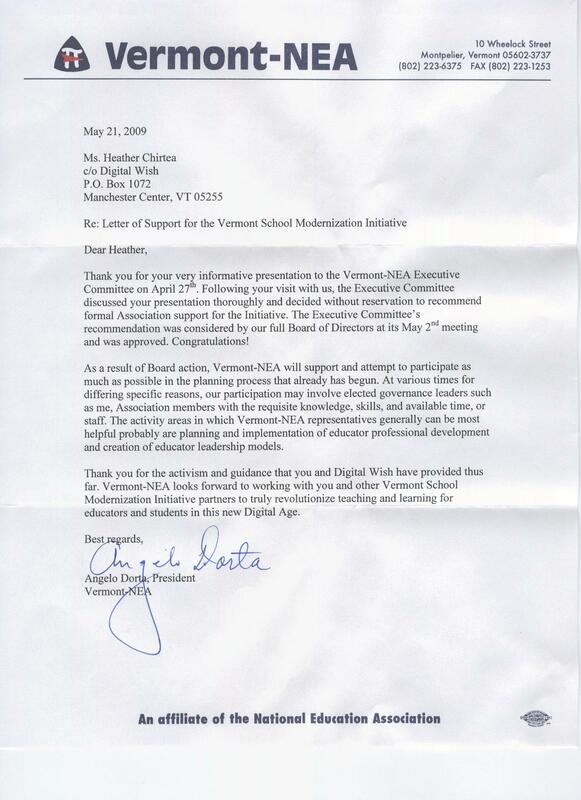 Digital Wish is endorsed by the boards of Vermont’s major educational association for principals, school boards, superintendents, IT coordinators, teacher’s union, and six regional training centers.